The perfect hostess gift, housewarming gift or 2nd Anniversary gift! 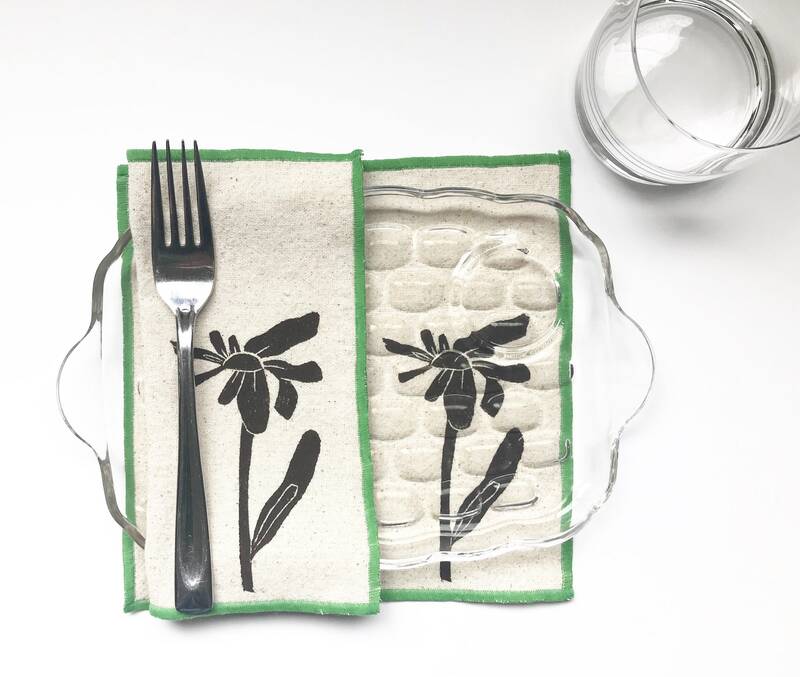 These napkins are a hybrid of my dinner napkins and cocktail napkins. They are the perfect luncheon size and for appetizers. 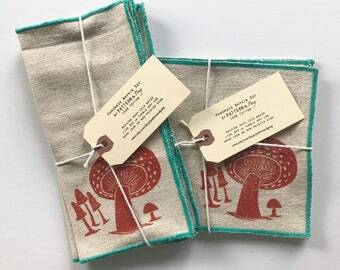 Each one of these soft and absorbent cocktail napkins is handmade from 100% cotton with a linen look. I carefully cut and sew every napkin myself. Each print is an original drawing that is hand carved into an eco-friendly printing plate. 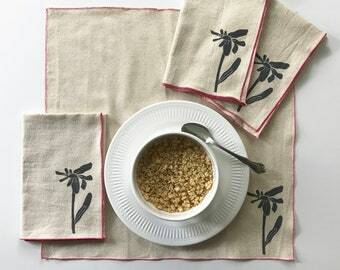 Every napkin is hand printed and heat set before shipment.